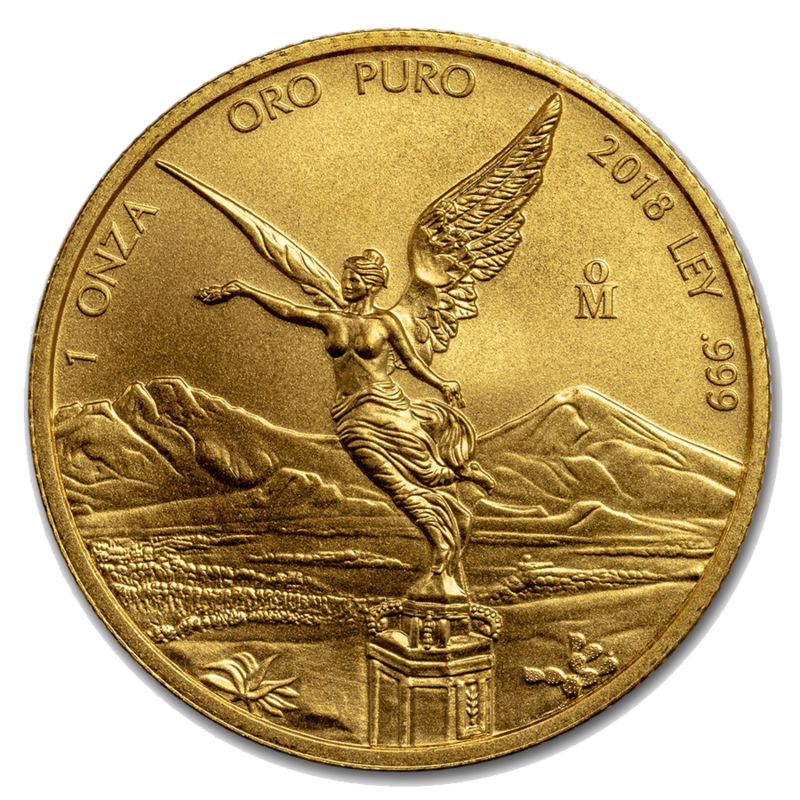 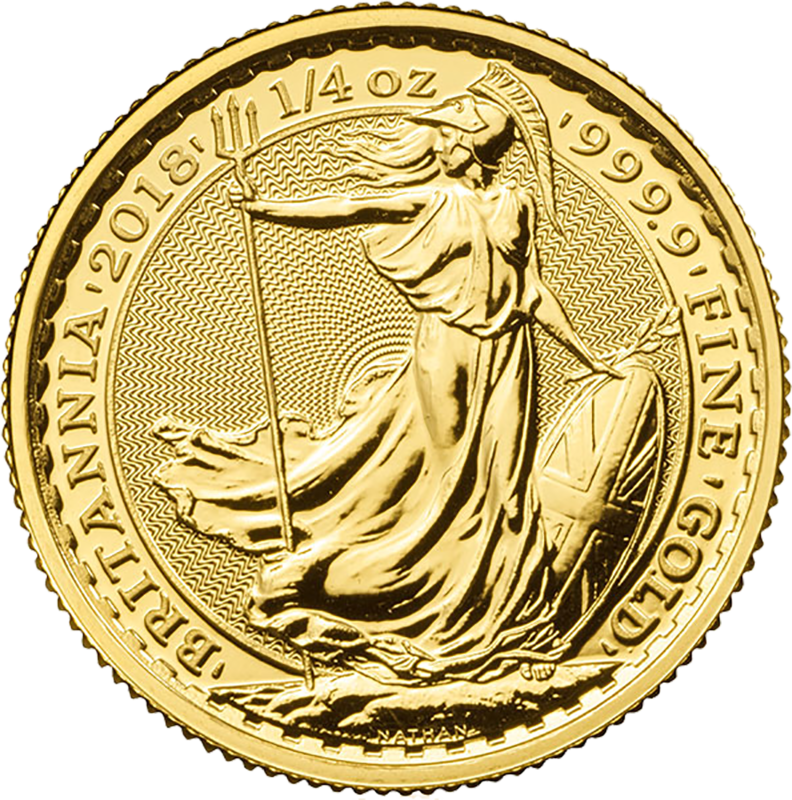 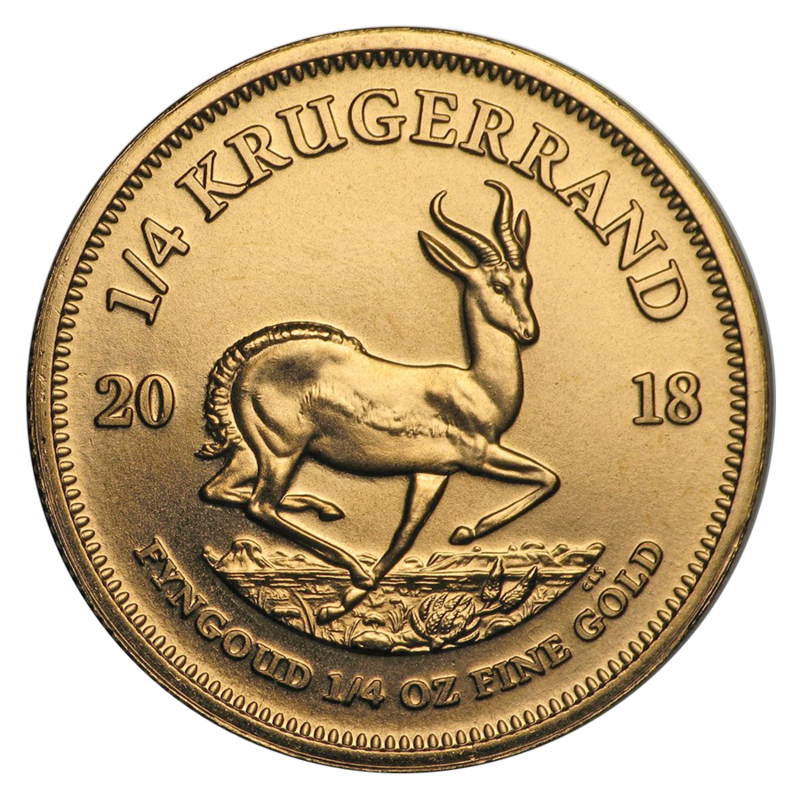 The 2018 Mexican Libertad 1/4oz Gold Coin features a portrait of a Winged Victoria in front of a Volcanic Landscape on its reverse. 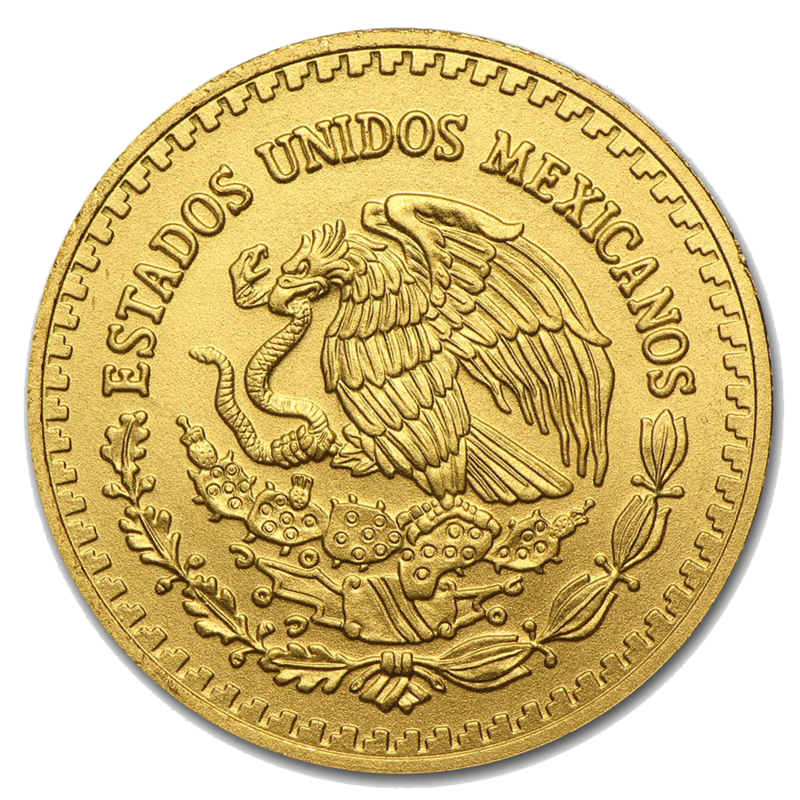 The obverse of the coin features a sculptural relief design of the National Shield, encompassed by the legend "ESTADOS UNIDOS MEXICANOS" (UNITED MEXICAN STATES). 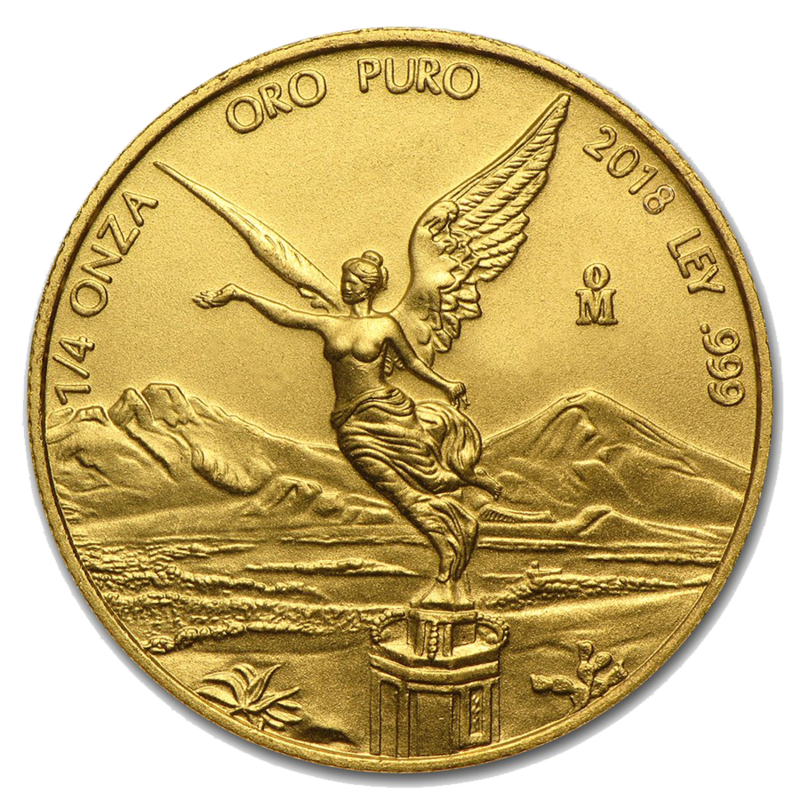 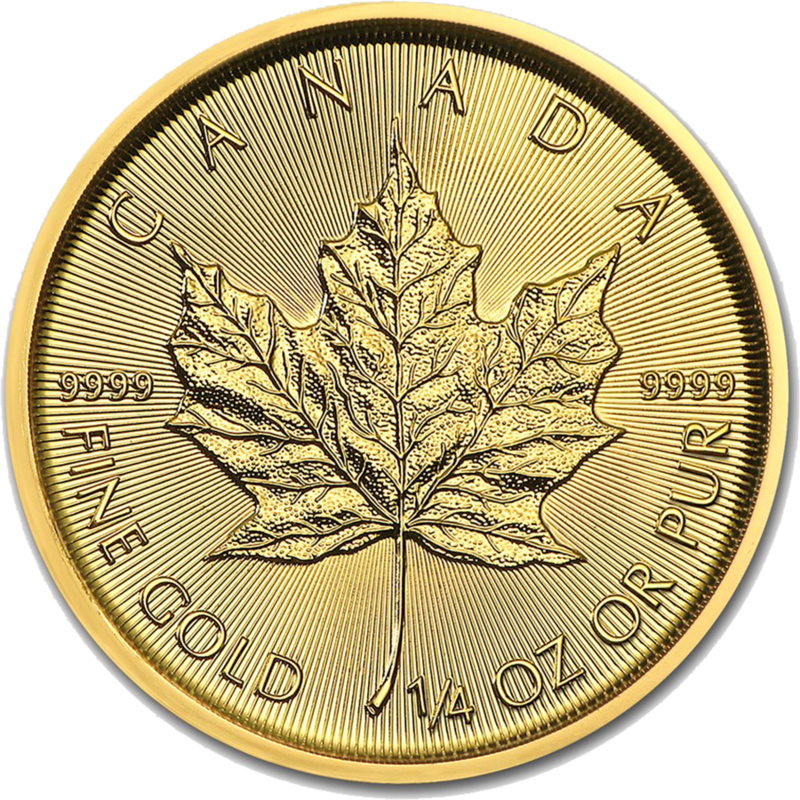 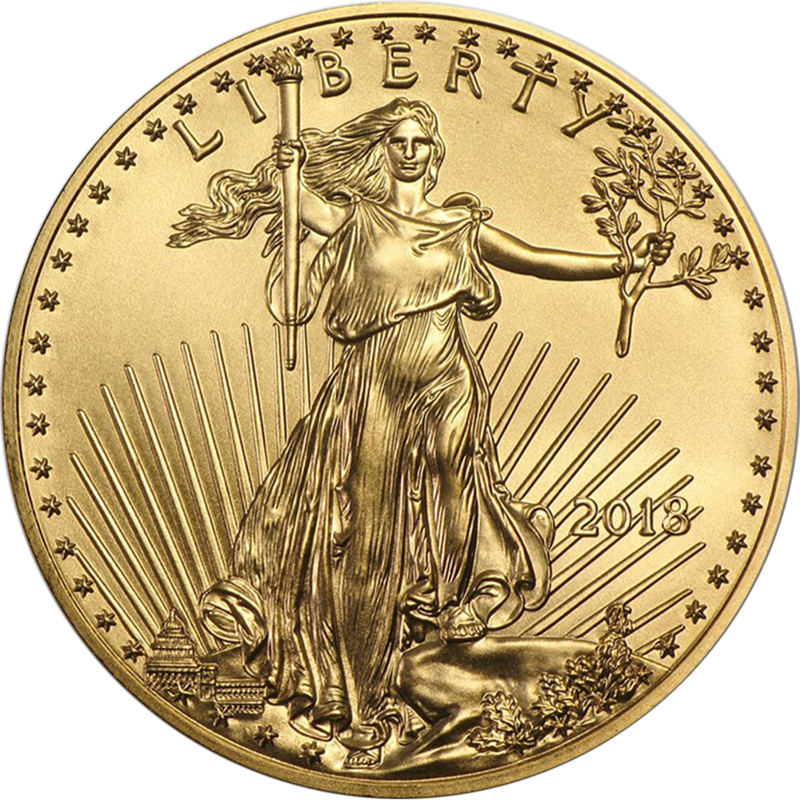 Each coin weighs 7.775g and is 999.0 Fine Gold.